The signs of growth for the Frontieres Co-production Market were evident this year as the market launch event, the pitch sessions, were moved from the smaller J.A. de Seve theater to the main hall. The large crowd of buyers, sellers, producers, financiers and outsiders like myself all gathered early on Thursday morning. Below is a summary of the projects that made the biggest impression on me. Regardless of their budget, goals, and needs, these are the projects that I want to watch. Now. As stated in years past if I had any money I would put it down on these projects. And by no means is this judgement on any of the other projects. This is merely a very subjective list. That being said, only when the family estate has been divvied out and the night of celebratory debauchery is over, whatever money is left afterwards would be given to these projects. 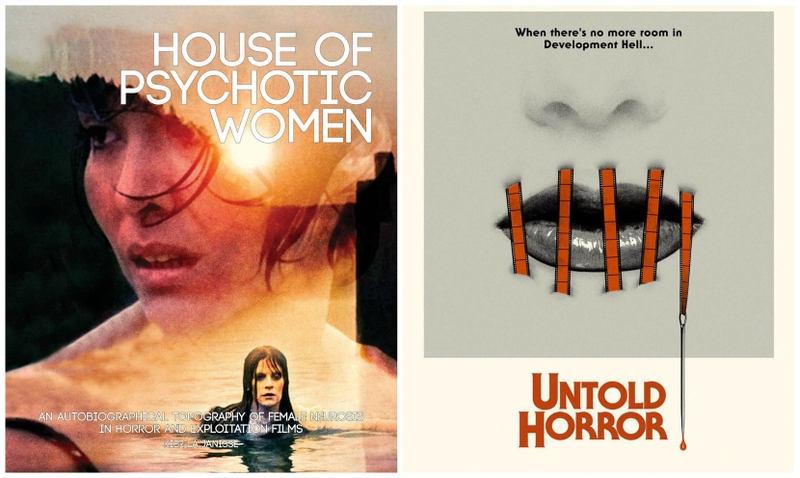 There were two television series pitches worth highlighting, House of Psychotic Women and Untold Horror. One has a narrative structure, the other a horror film travelogue of sorts. Kier-La Janisse’s House of Psychotic Women would use her memoir by the same name as the narrative foundation for the series. The central character Carly navigates the Winnipeg, Canada child welfare system some time the in 80s. Over the course of the series she will attend counselling sessions and her memories will be filtered through the horror cinema of the times. Rue Morgue’s Dave Alexander is planning a series that would explore the anticipated horror films that were never made. These were films that, despite the names attached to them, have never been made. Del Torro’s At the Mountains of Madness. A new Creature from the Black Lagoon. There are many examples of horror films that we would like to see, but one reason or another they have never been made. So here is the funny thing about pitches. Some are really well done, rehearsed, planned and even then may not grab me. Then other times someone makes their pitch in a state of controlled panic with a solitary image up on the screen but their idea for a film just clicks with you. Case in point, Stockholm Zombies. The story is about a couple who set out, after a one night stand, to get a morning after pill. Trouble is, a zombie apocalypse has broken out during the night. When hearing this potential zom-com described to us during the pitch from writer/director Bonita Drake my mind immediately went to Edgar Wright’s creations Spaced and Shaun of the Dead. I imagined Tim and Daisy setting out the morning after to find this pill, fighting of zombies on the way to the chemists. In the market guide Drake also states that the film would ‘combine the cold Scandinavian aesthetics of Let The Right One In with the warm-ish situational comedy of Knocked Up. They had me at Let the Right One In. 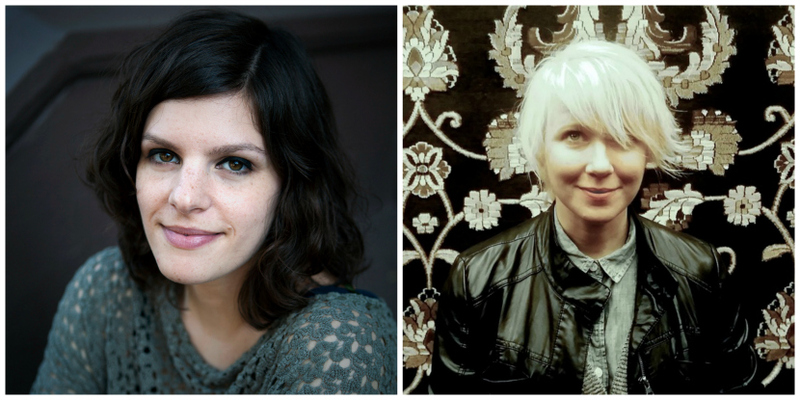 Two other awesome filmmakers brought their projects to the Market this year. Having been behind the scenes on a lot of great horror projects over the years their time in the spotlight is now due and they have two very cool projects that we want to keep on our radar. Producer Jenn Wexler is no stranger to horror film through her work at Glass Eye Pix and flicks like Darling and ABCs of Death 2. She came to the market along with producers Larry Fessenden and Peter Phok with her project The Ranger. The story centers around punk Chelsea and her friends who have to go on the run from the local police. High on drugs and hiding out in her family’s isolated woodland cabin they will realize that there is a larger threat than the police. The local park Ranger has spent maybe too much time on his own and is a bit off his rocker. Wexler screened a quick teaser that showed a punk rocker running through the woods and running afoul of a bear trap that tore his lower leg to shreds. His screams catching the ear of the crazed Ranger up a ways at his log cabin. Quick and gruesome, it got the point across. Director Roxanne Benjamin brought her project We Summon the Darkness. The script was written by Alan Trezza and takes place in the 80s during the height of the Satanic Panic craze when religious zealots were looking for proof of Satanic influence in every little bit of pop culture at the time. In the film a trio of heavy metal loving ladies hook up with three metalheads at a concert. “As the night progresses, dark secrets are revealed and a night of fun spirals in to a vicious fight for survival”. The film promises to flip the Satanic Panic tropes as well as gender expectations. Benjamin made her directorial debut in the lauded anthology Southbound and she also produced the first two V/H/S flicks. If you grew up in that faith community like me you were probably dragged to church to watch a movie like Hells Bells to try to dissuade you from partaking in the heaviest of metals. And with the recent spate against something as trivial as Pokemon Go it is clear that Satanic Panic was not just an 80s thing but that faith community makes mountains out of mole hills all the time. 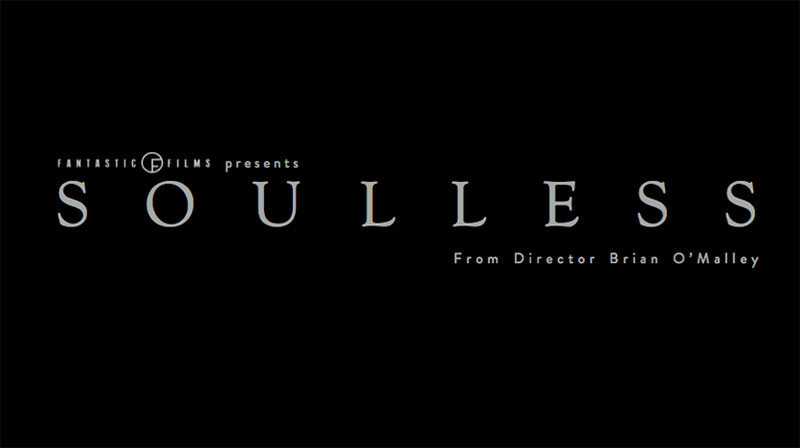 Brian O’Malley, director of Irish horror flick Let Us Prey, brought a new potential project, a Victorian era horror flick called Soulless. The pitch came with the tagline The Mother of Nightmares Has Just Given Birth. What caught my ear during this pitch was some of the inspiration for the story. You may recall other projects that we have spoken about that were also influenced by the story from two years ago about the discovery of nearly eight hundred buried babies outside a former home for unwed mothers in Tuam, Ireland. O’Malley’s film will be set in the 1800s and is about a doctor under medical review after losing a patient travels to an institution where this patient once stayed. If he can prove that this patient were ever pregnant he would be freed of any blame for her death. Already haunted by gruesome visitations by this dead woman he begins to dig into the patient and institution’s past he will uncover terrible horrors. 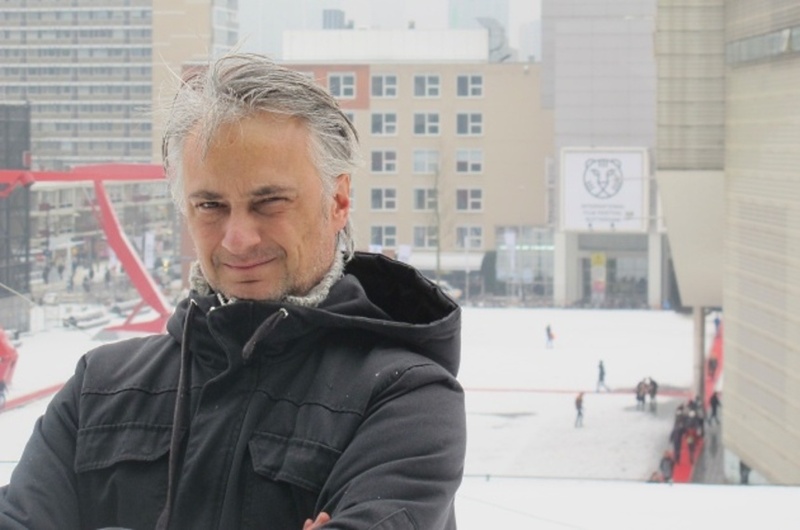 Richard Raaphorst is a dreamer, that much is certain. Though his Worst Case Scenario never truly came to see the light of day as portayed in those POCs they still stands as two of the great inspirational POCs in recent memory. The director of Frankenstein’s Army came to the Market with a new project that has its sights set even loftier than anything before it. His proposed project The Profundis would play out on the cramped locale of a rogue submarine by the same name. A Christian terrorist cell brings aboard a form of weaponized atavism (a genetic mutation that results in an evolutionary throwback) people on board begin devolving into sub-human monsters. So when a synopsis includes references to films like Das Boot and The Thing then by golly we are interested in that. Raaphorst had some beautiful conceptual art up on the screen to give an idea of his creature designs. And those lucky enough to be at the market and schedule a meeting with Richard would see a conceptual bust. The mouth peeled back over the skull so only the muscle and tendons could be seen. Out of the left eye, a tentacle. Just enough to whet anyone’s appetites I imagine.